Post-punk, in its simplest terms, is the catch-all that encompasses the myriad bands to have emerged and launched from the first wave of punk into a more twisted and experimental form of music. In many cases, particularly in the U.K., these bands were angry and motivated by the political atmosphere. Gang of Four, The Mekons and Au Paris were among those raucous acts mixing their message with raw, sometimes atonal, often danceable rock. And that was just Leeds! Of course, that was just one aspect of post-punk. In other realms, there was the emergence of goth rock. In others, there was a burgeoning experimental side of punk rock. And elsewhere still, there were bands honing their ability to write stadium ready rockers under the guise of art punk. What post-punk bands all had in common, however, was an arty extension of what punk rock had borne. Deep within those rumbling basslines and choppy guitar riffs were the same structures upon “hey ho, let’s go!” were first shouted. While all of the bands represented in this 90 Minute Guide have some very basic similarities, they’ve essentially taken the same idea and run in 100 different directions. These are all very differently shaped pieces of the same puzzle, and though, individually, they each stand out as something unique, they also make a pretty impressive mixtape sequence as well. In the past decade, countless bands have attempted to recreate Gang of Four’s sound, to varying success (The Rapture built something new out of it, Moving Units…uh…didn’t.). The Leeds group practically invented dancepunk, though it wasn’t called that at the time. The style of music they played was alien and harsh. Andy Gill’s guitar chopped and screeched, while Dave Allen pounded out merciless basslines. Toss in Jon King’s politically charged lyrics and Hugo Burnham’s dance-friendly beats and you’ve got a recipe for something revolutionary. As King sings at the beginning of this song, “I think a change would do you good.” Gang of Four provided that change, turning perceptions of dance music and punk rock upside down, offering a song that offered no pristine melodies, yet compelled bodies to move regardless. Those who have seen 24 Hour Party People may recall the scene in which A Certain Ratio is depicted wearing matching boy scout uniforms. By comparison, they were a bit lighter than their Factory Records labelmates Joy Division. That doesn’t mean, however, that the band didn’t groove hard. Much like Gang of Four, ACR married a punk rawness to a funky, rhythmic danceability. 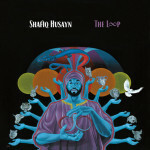 “Do the Du” is a prime example, with popping basslines and scratchy guitars. The group eventually transformed into something that was more funk than punk, though throughout their career they embraced dance music, even when they were at their most abrasive. Fun fact: they even played a gig with Madonna. Long before celebrating beautiful days, getting a case of vertigo or asking us to get our boots on, U2 were a wiry rock group from Dublin playing melodic, yet somewhat abrasive songs with heavy rhythms and lots of reverb and delay. Listen to debut album Boy and you’ll hear something far removed from the stadium filling act you hear today. That said, the seeds of their mega stardom were still there. “Stories for Boys,” while more spindly than anything they’ve done in quite some time, is quite catchy, thanks in large part to the Edge’s guitar riffs and Bono’s charismatic vocal performance. The songs may have been quite a bit different, sonically, but even U2 at their least commercial sounded huge. Meanwhile, Julian Cope started his own band, the similarly trippy Teardrop Explodes. A slightly less accessible foil to Echo & The Bunnymen, Teardrop Explodes were just slightly more peculiar than their Liverpudlian peers, with debut album Kilimanjaro packed with fiery organs, abrasive melodies and the odd soulful flourish. One track that did display their penchant for undeniable hooks was “Treason,” a single built on even more fiery organs, huge choruses and dramatic breakdowns. The introduction alone is monumental, a testament to just how powerful Cope’s songwriting was. The band dissolved after only two albums, though those two albums are certainly killers. Mark E. Smith is a lot of things—a legend, one of the most prolific songwriters and frontmen in history, and, by most accounts, an extremely difficult person. He’s also been responsible for some of the most innovative and incredible music of the past 30 years. Fans could argue endlessly over their best album. Some say Hex Enduction Hour, others Grotesque (After the Gramme), though there’s little debate that This Nation’s Saving Grace is certainly a candidate for their greatest album. “Spoilt Victorian Child” is a particularly noteworthy standout, with riffs spiraling around a scuffed-up boogie, Smith’s maniacal vocals screeching and howling on top of it all. It’s a bit of a mess, but it’s also one of their catchiest tracks. And during that brief, restrained, spoken word bridge, you know it’s only a matter of time before the chaos kicks up again. While most of post-punk’s greatest acts emerged surrounding the Atlantic coast, Australia had its own class of guitar slingers, the most notable of which was The Birthday Party. Featuring a young Nick Cave before he started The Bad Seeds, The Birthday Party was their own mutant class of band, merging punk, blues, rockabilly and harrowing no wave experimentalism. They were a wild, furious monster of a band, equally adept at murder ballads and exploding car wrecks of songs, though “Several Sins” falls somewhere in between. Cave’s delivery is a bit more muted than on some of the band’s most amped up tracks, though there’s still a sense that everything’s about to come apart at any moment. It never truly does, but the anticipation is enough to put anyone on edge. When it comes to choosing a song that best represents Wire, anything from their first three albums works nicely. Of course, they all sound completely different. Even the songs on those albums can sound entirely different from one another. What makes 154 such a compelling album is that it shows such an immense degree of transition away from simple three-chord punk songs into a strange, experimental art pop that, today, sounds unparalleled. And, curiously, the rift between the band’s catchiest and strangest songs is at its widest here. On one end of the spectrum is seven-minute electronic/spoken word piece “A Touching Display,” on the other, this glorious bit of melody, easily one of the best songs the band ever wrote. The soaring melodies sound unlike anything the band had done prior, and the dense construction of the song even suggests shoegazer music, long before it existed. And lest you think I’m full of it, My Bloody Valentine covered the song a decade and a half later and sounded perfectly at home surging through its mighty chorus. Boston rockers Mission of Burma were a group defined by two strikingly different songwriters. On one side, Roger Miller, who opted for harsher sounds and whose own gruff vocals were reserved for some of the band’s most brutal material. On the other side, Clint Conley, who wrote cleaner pop songs, including the band’s best-known singles, “That’s When I Reach For My Revolver” and “Academy Fight Song.” Yet his vocals are also at the front of one of the band’s most menacing and intense tracks, the two-minute “That’s How I Escaped My Certain Fate.” It’s loud and it’s fierce and it’s fast. And it’ll most certainly get your pulse racing. The Cure made a longer career than just about anyone else in this guide, with a handful of notable exceptions, the most prominent being U2. Of course, Robert Smith isn’t the same spooky kid now that he was back when he was writing albums like Seventeen Seconds and Faith. “A Forest” stands as one of the coolest songs in the band’s discography, not to mention one of the coolest sounding songs ever. Its chord progression is simple, as are the beats and the haunting synth, but it all comes together in one big, ominous cloud of a song. And hey, you can dance to it! Josef K had a brief career. Very brief. After releasing one album, 1981′s The Only Fun in Town, frontman Paul Haig reached the conclusion that the band had run its course and its members went their separate ways. Still, in that short window of time during which they were a band, they created some magnificently agitated punk pop, like this standout single. The riff is gigantic. The riff is transcendent. And Haig’s performance is neurotic and crazed. It’s only two minutes long, but those two minutes create quite a head rush. While The Only Fun In Town remains out of print, essentially the whole of the band’s discography was reissued a couple years ago on the single disc compilation Entomology. It bears repeating: they didn’t stick around long. I would say that The Chameleons are a criminally underrated band, but I could really say that about any of these groups. Still, for a band that wasn’t huge, commercially, they wrote songs with soaring melodies and a commanding presence. “Up the Down Escalator” is one such song. Dig Mark Burgess’ mighty cry of “there must be something wrong boys!” One can almost imagine Bono singing it. Yet it’s arty and dark enough that you could just as easily imagine Ian Curtis singing it. Come to think of it, The Chameleons really were the halfway point between Joy Division and U2. Welsh trio Young Marble Giants don’t easily fit in alongside many of the bands from their era. They don’t really fit in alongside many of the bands in the current era, either, really. The Giants were ahead of their time in concept if not in execution. Their stripped-down, lo-fi dream pop has more peers in bands like Pram and Broadcast than in The Cure or Gang of Four. Nonetheless, even their dreamy, organ-and-jangle pop has a ragged, punky side to it. “Wurlitzer Jukebox” is a prime example of their ability to create something with a punk spirit that doesn’t really sound punk. It’s a pretty song, just one seemingly beamed from outer space. ESG (or Emerald, Sapphire and Gold if you prefer) was formed in the South Bronx by sisters Maria, Valerie and Renee Scroggins, later adding Deborah to the group. While their sound was no less unconventional by the era’s standard, ESG ultimately came to be a major source of inspiration for bands of all stripes. Dancepunk groups would attempt to emulate their urban funk. Hip-hop groups sampled them ad nauseam. The real essence of the band lies in this song, which asks the listener to do just one simple thing. And if you aren’t capable of dancing to this simple, four-minute funk jam, then please surrender your hips immediately. 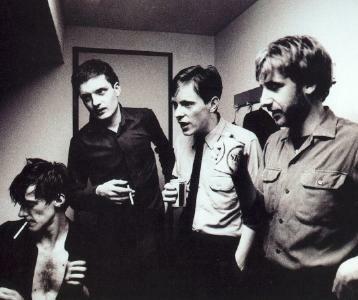 For a band with a career as relatively short as Joy Division’s, the band recorded a wealth of amazing music. Some of it was raw, scrappy punk rock, like “Warsaw.” Some of it was funereal and ominous, like “The Eternal.” But somewhere in the middle, the band crafted some high-energy tracks with jagged guitar and pummeling, insistent basslines. “Something Must Break” isn’t the sound of Ian Curtis the tragic figure. No, it’s the sound of Joy Division, the band with immeasurable promise and a penchant for cutting edge post-punk singles. Maybe that removes a little bit of the romance, but in a song this amazing, the music speaks for itself. Another band whose discography is in need of domestic reissues, The Sound formed in South London after the dissolution of punk rockers The Outsiders. The group sounded a little bit like Joy Division or The Chameleons, yet singer Adrian Borland had a voice that sounded a lot more like Ian McCulloch of Echo & The Bunnymen. In spite of any convenient comparisons, The Sound were a bit more atmospheric than other acts. They had great songs, and catchy ones at that, but they sounded somewhat more open, not as reliant on buzzsaw guitars or power chords. Case in point: “Contact the Fact,” which finds a bassline carving its melodic path. When the guitar does enter, it comes off restrained and precise, and not a hair out of place. Formed in Athens, Ga., Pylon shared neither the commercial success nor the sonic makeup of local heroes R.E.M. or the B-52′s. In any case, they were yet another wildly innovative and influential band from a city that spawned countless amazing musical acts. Pylon’s jittery post-punk jangle was somewhere between the no wave skronk of Bush Tetras, the misanthropic rock of The Fall and the nervy pop of The Feelies. On “Cool,” they leap from mighty opening chords, to understated and exploratory verses, to Vanessa Brisco Hay’s yelped chorus of “everything, everything, everything, everything is cool.” And it most certainly is. Another fantastic entry from the Factory Records catalog, Section 25 could have just as easily fit in on our New Wave mix due to their heavy use of synthesizers. Yet, there’s something more creepy and strange at work here. On this monumental single, the synths are stoic, but rapid fire, with noisy interruptions crashing in between verses. Things intensify with the vocal hook of “I just want to see your face,” and even the drum machines get bigger and more ominous. On the surface this may be an electro dance track, but it’s one very dark and vicious one at that. Pere Ubu is probably the most fucked up and disturbing act of the 24 sequenced here, and that’s saying a lot. The Midwestern post-punk outfit was something like Eraserhead the band. There were moments of lucidness, identifiable progressions, even some truly stunning hooks. But in the end, thanks to twisted mastermind David Thomas, it’s not uncommon for the listener to come away wondering what he just listened to. This song is neither the band’s most accessible, nor least, but somewhere in between, transitioning between loosely constructed, squealy verses and a big, boisterous singalong chorus. Weird stuff, but very cool at the same time. I could have chosen any song from throughout the Mekons’ career to represent them on this mix, from their early punk roots on “Where Were You” to their cowpunk era on Fear and Whiskey. Instead, I went with the leadoff track from their 1989 album The Mekons Rock `n’ Roll. Why? Well, for starters, it’s one of their best tracks—it rocks hard and has a great little tune to match. But it’s also a testament to their longevity. Like The Fall, the group has endured and evolved over three decades. Yet unlike The Fall, they’ve kept most of their lineup intact in that time. Rock `n’ Roll was intended to be the band’s over-the-top, commercial rock release, even if over-the-top, commercial rock wasn’t something they could ever fully commit to. Still, this amazing three-and-a-half-minute song is all you need to hear how good they were at it. You know, it just wouldn’t be a post-punk mix without Bauhaus. Though they were primarily known as being the superheroes of the goth rock movement, the theatrics never overpowered the music, which remained pretty amazing over their four studio albums. This early single combines their dramatic flair with a searing, tumbling progression that was simple but plenty menacing. Daniel Ash’s guitars are choppy and vicious, while Peter Murphy’s vocals are like those of a vampiric David Bowie. That he was still willing to dangle upside down at a Coachella performance more than 25 years after the start of their career is a testament to Bauhaus’ spectacle.